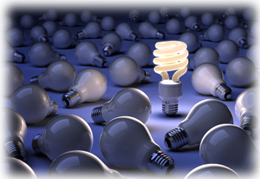 Many companies are making the decision to replace all of their lighting with new energy saving bulbs. It can pay off big in energy conservation and cost savings, plus, energy companies and governments are offering incentives for companies who make the change. 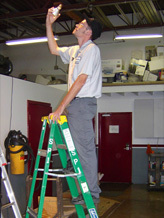 However, the physical challenge of changing the bulbs even in a small building is no small task. That's why Stathakis offers Light Replacement. 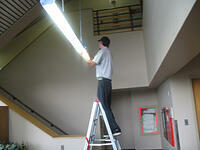 Not only will we change all the light bulbs you require, we will make sure the old bulbs are disposed of properly. "Switching your bulbs saves so much energy, it can pay for itself in three years. Plus, energy companies and governments are offering incentives for companies who make the change." 37,582 points of light for AT & T. As a part of their energy conservation efforts, AT & T hired Stathakis to replace 37,582 light ballasts and 75,000 lamps.